1. We can see what the weather conditions are locally. If the photo shows a grey sky, it is cloudy outside. If the sky looks black and has small white dots, we are looking at a clear sky and stars. When the Aurora start developing in the sky, we can see it first as a thin white line, that usually stretches across the sky. We can wait for a few minutes to see updated photos and follow how the Aurora is developing. You can also step outside to see what is happening. On the screen we can see very clearly when the activity becomes strong and this is finally the time to get warmly wrapped up and to go outside to witness this awesome show of nature. Our camera is very sensitive so that it works when it is completely dark outside. 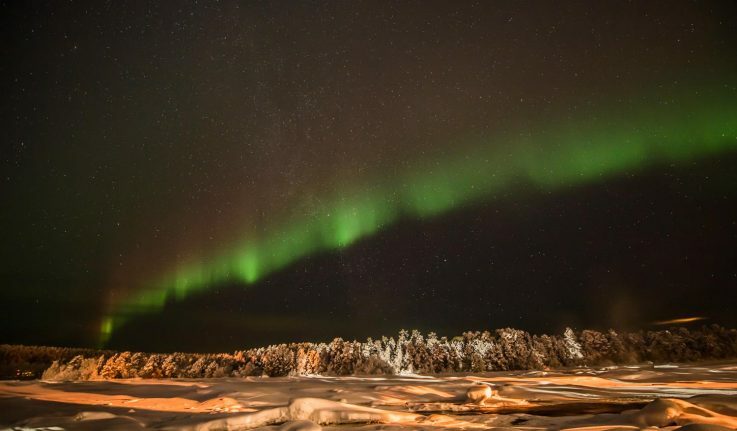 What is an ideal place for viewing Auroras like? 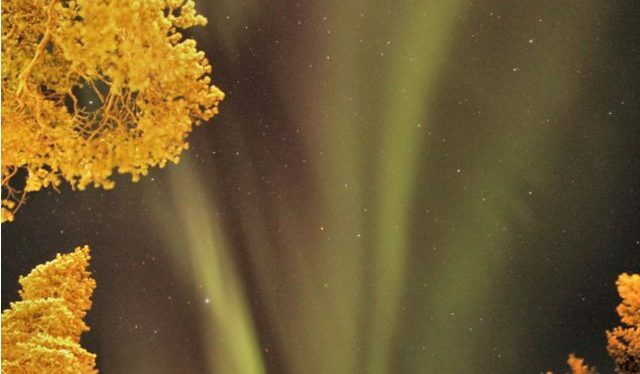 The Aurora oval is only one factor to good observation of the Northern Lights in any area. 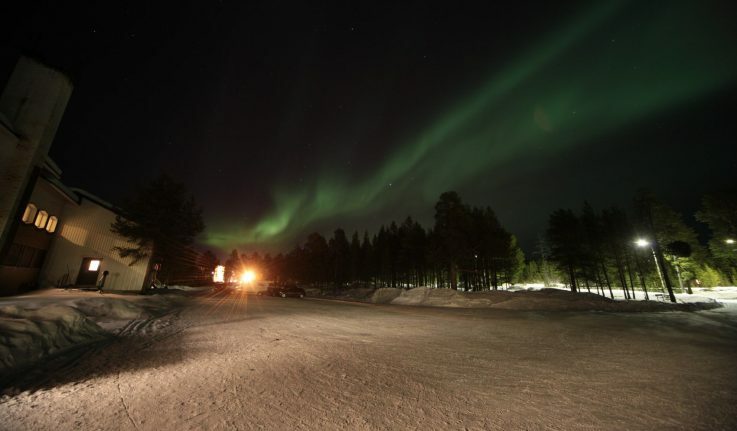 In smaller villages like Inari there is usually no great amount of light pollution. It is easy to step outside the street lit areas to admire the scenes in the sky. 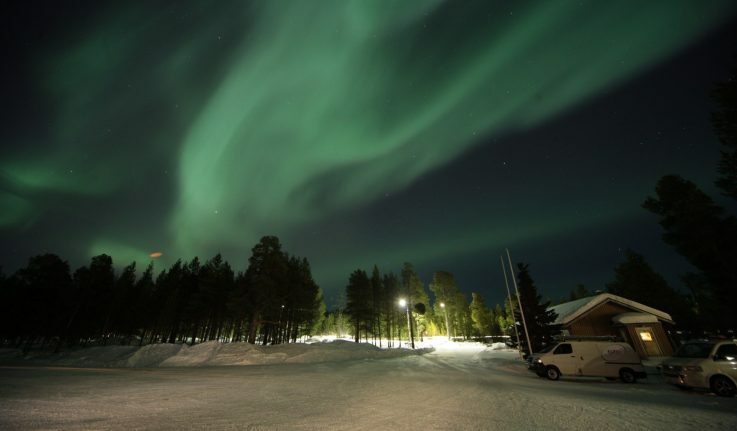 You can find quite a few good viewing areas inside Inari village which are not far from your doorstep. Behind our hotel you will find the bank of Juutua River which is quite free from light pollution, as when the Aurora appear, we turn off all scenic lights behind the hotel. 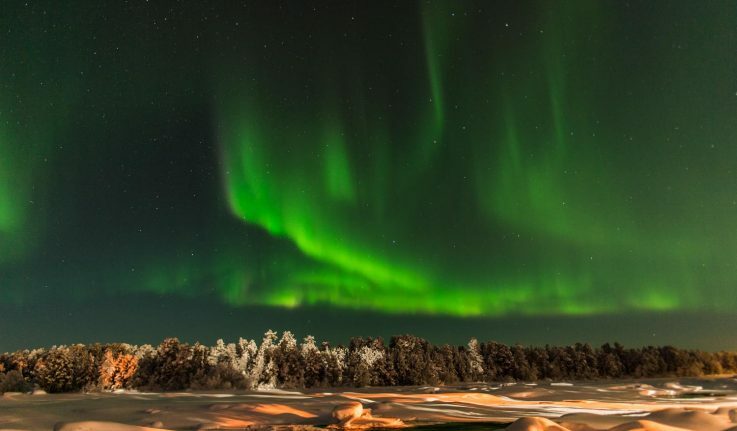 On the nearby bay of Lake Inari, once the ice is strong, you can get an unrestricted view of the sky. Near the hotel there is also a camp fire site behind the little Onnenkukkula hillock, also a good viewing area. 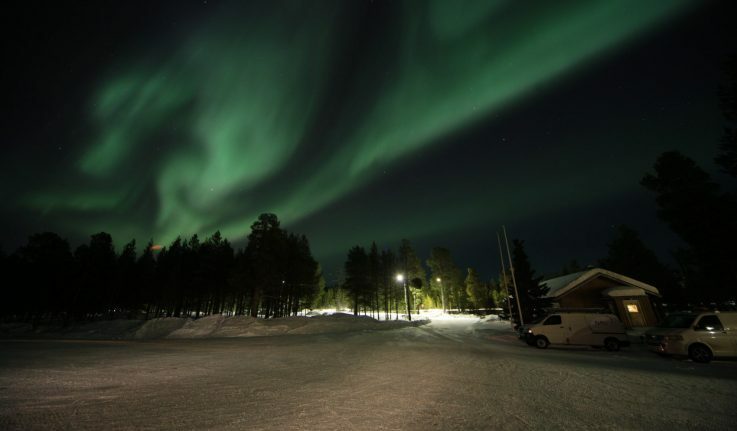 And not to forget Oh Juutua trail where you can have a nice evening walk and the dim lights will not stop you from seeing the Auroras. Local micro climate can have a significant effect to how often we get to enjoy clear skies. Our location inland gives us a drier climate with less rain or snowfall. Also the location by the vast Lake Inari helps us, as many times the weather fronts go around the lake. In the Nordic countries low pressure is common in the winter time and this causes a lot of rain and snowfall. These fronts most commonly approach Inari from the southwest but the Saariselkä ja Hammastunturi mountain ranges south of us often weaken the fronts and / or direct them towards the east, avoiding our area.